Are you planning a long drive with your baby?? Is long drive with a toddler a chaos for you?? For sure it is difficult and can be annoying at times if you aren’t prepared expertly for it. My daughter is about four years and we have been on road drives for 12 hours or more at a stretch, with her, quite often. After all huss and fuss in the first year, now experiences have taught us how to manage a prolonged car journey with a baby along. Our stretched drives are no more a mess or stress. Sharing some trick and tips to make your drive, a joy drive! 1) START YOUR JOURNEY EARLY IN THE MORNING- Shhh…baby is sleeping!!! Early morning is the best time to start a trip, as that is a sleeping time for most of the kids. Try a break free drive till your little passenger is asleep, that will help you cover a lot of distance comfortably and hassle-free. The time your baby is awake, you might have covered half of the run. We try to start by 5 am, you can plan as per your and kid’s convenience. 2) BREAK, EXERTION, RELAX- Whenever you take a break, make sure your baby come out of a car. Allow a little one to run and play. Let him/her get exhausted, as the hard work of running will exert him to some extent and will force him to sit quietly and in a relaxed mode for some time in the car after that. 3) BECOME PLAYMATE OF YOUR CHILD- Find out some self-made games to play during the road drives. Like, count the number of houses you can see out in 1 minute/ search any object of red colour (or any colour) outside, the one who will find it first will win etc. Can play a story game, everyone in the car has to tell /create one story. Ask your kid as well to become a storyteller. This will entertain everyone present in the car and the baby will be engaged for a long time. Make your trip a complete family trip. 4) KEEP ELECTRONIC ENTERTAINMENTS READY- Be it a tablet or a mobile phone, keep them ready. Download as many offline videos of his/her choice as you can. It gets difficult to entertain kids, especially at the night time after it’s dark outside, so keep in mind that this has to be the last source of entertainment. If you want to reduce the screen time of your kid, you can even download audio stories and play them for him as and when required. Sometimes even it’s just okay to give freedom to hand mobiles or tablets in their little palms, with an internet on; they enjoy exploring rather than watching. ( Keep an eye on the kids while e-device is handed over to them as they may open a link that may not be of their use.) 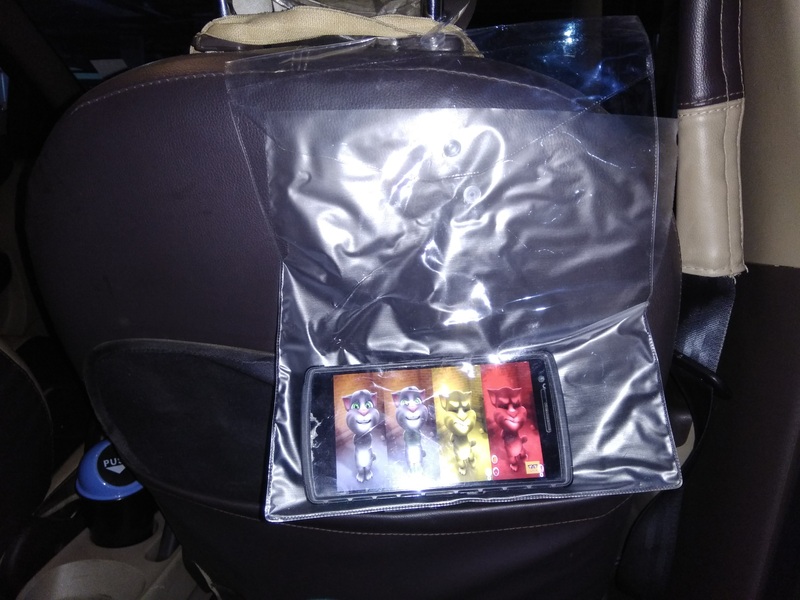 TIP– Instead of spending a bulk on buying the car back seat mobile/Tablet holders, You can just fix the screen behind the driver’s or co-driver’s seat with the help of a transparent hook pouch which usually comes with many branded wears. You can even fix the screen with a help of fresh, transparent thick poly bag, just stab the metal rod in the plastic poly bags and you are good to go. 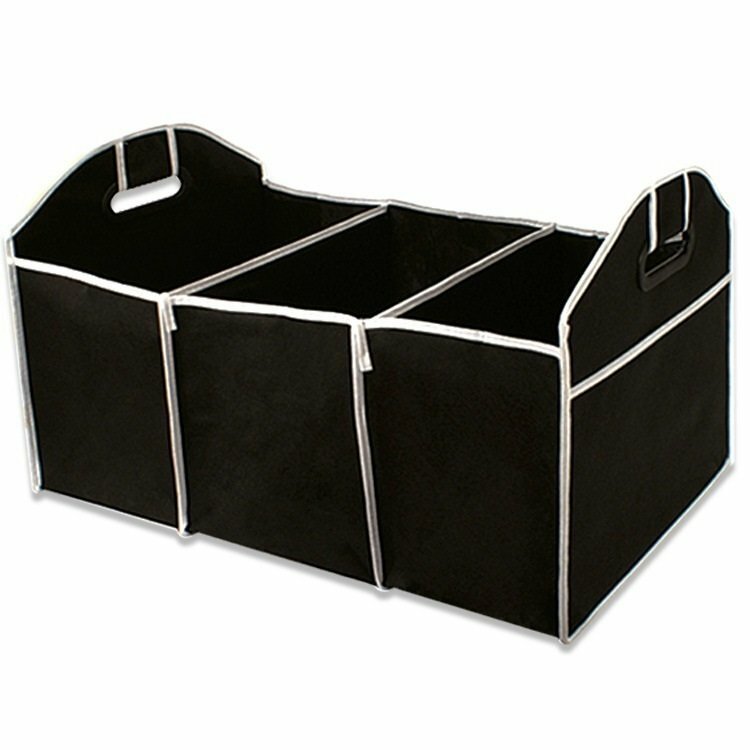 5) ENGAGE THEM WITH LOTS OF TOYS, NEW PICTURE BOOKS, HANDY GAMES, COLOURING BOOK E.T.C.- Buy a car trunk organizer with dividers in it and put a few of his favourite toys inside it properly segregated, so that it can be easily offered to a toddler as per demand. You can even keep drawing book and colours to engage him/her. Few white papers attached to a paper clipboard, a pencil, a sharpener and an eraser to draw will give him enough place for creativity. Some handy games work awesome for them when in a car. 6) BUY SMALL NEW TOY/ TOYS- Anything which is new, attracts a kid and if it is a toy what better a toddler needs. If the drive is really long, buy some economical small toys and wrap them in a gift paper. You can even make a layer of wrappings which will pass some extra time of a child in unwrapping. Keep these gift/gifts intact and safe with you. In case of extreme emergency, when a child is highly cranky or unmanageable, just gift one of the toys. He/she will unwrap it with utmost joy. Toddler’s flared up mood will be diverted with a gift in hand and will easily spend further half an hour or more with the gifted little surprise. Just be careful that it does become a habit for him or he may start throwing tantrums in a wish to get the wrapped gift. Tip– you can even wrap and give the old toy which you have kept in, away from him for some reasons or a toy from which a kid might not have played for a long time. 7) SNACKS, SNACKS AND SOME MORE SNACKS– Kids pass a lot of time in eating. Let us not bound them with healthy eatables for the entire journey. Of course, give them a light homemade meal at the breakfast/dinner or lunch time, but also let them enjoy whatever they enjoy eating, After all, they too are on a fun road trip. sometimes unhealthy food is just ok. your little passenger will be delighted to spend a lot of time in munching a small packet of chips. 8) SING SONG/RHYMES TOGETHER- Sing along is the best way to keep some freshness while driving. 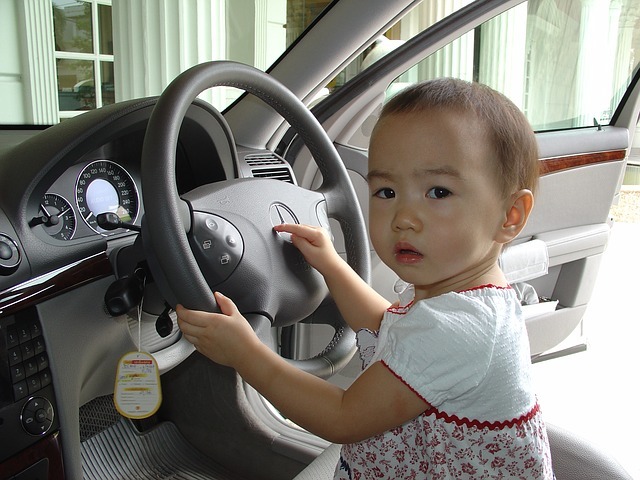 Sing songs or reciting rhymes, your kid is fond of is very entertaining for the youngest one in the car. The toddler will enjoy singing with you in an even louder voice. Switch between toys, electronic entertainment and singing. 9) KEEP INTERACTING- A talkative child can be easily engaged in his favourite talks. Turn back in regular intervals and talk about something or anything they feel like chatting. Let them feel connected with you. 10) MAKE YOUR DRIVE, A LEARNING EXPERIENCE FOR A BABY- If the kid is of enough age to understand, teach them about road signs or traffic lights. Make them understand different kinds of vehicles on the road. They will take pleasure in learning and understanding, soon they will be entertained in looking out of the window, as now they will try to connect to their new learnings. Babies are fascinating creatures but, sometimes tackling them can be bit difficult. Just little efforts of ours can make them happy and super easy to handle. This entry was posted in Article and tagged long drive, long drive with kids, must know tips, road trip with kids, successful road trip with babies, tried and tested by ranubhatt. Bookmark the permalink. ← Previous Previous post: Daughters- What are your responsibilities to your parents? Next → Next post: MUMBAI LOCALS- A POSITIVE THOUGHT.